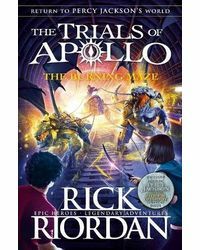 He and his companions seek the ancient oracles - restoring them is the only way for Apollo to reclaim his place on mount Olympus but this is easier said than done. Somewhere in the American Midwest is a haunted cave that may hold answers for Apollo in his quest to become a god again. If it doesn't kill him or drive him insane first. Standing in Apollo's way is the second member of the evil triumvirate a roman emperor whose love of bloodshed and spectacle makes even Nero look tame. 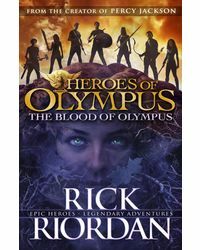 To survive the encounter, Apollo will need the help of a now-mortal goddess, a bronze dragon and some familiar demigod faces from camp half-blood. With them by his side, can Apollo face down the greatest challenge of his four thousand years of existence. Rick Riordan is the author of the 1 new York times bestselling Percy Jackson and the Olympians series for children and the multi-award-winning tres Navarre mystery series for adults. For fifteen years, rick taught English and history at public and private middle schools in the san Francisco bay area and in Texas. In 2002, saint Mary's hall honoured him with the school's first master teacher award. His adult fiction has won the top three national awards in the mystery genre the Edgar, the Anthony and the shamus. His short fiction has appeared in Mary Higgins Clark mystery magazine and Ellery queen's mystery magazine. His Percy Jackson series features a twelve-year-old dyslexic boy who discovers he is the modern-day son of a Greek god. The lightning thief was a new York times notable book for 2005. Film rights have been purchased by twentieth century fox and a feature film is in development. The sea of monsters was a child magazine best book for children for 2006 and a publishers weekly and book sense national bestseller. The third title, the titan's curse, made the series a #1 new York times bestseller and the fourth title, the battle of the labyrinth, had a first printing of one million copies. Rick is also the author of the 39 clues, the maze of bones, another 1 new York times bestseller. Film rights for the 39 clues have been purchased by Steven Spielberg and dream works. Rick Riordan now writes full-time. He lives in san Antonio with his wife and two sons. The second title in Rick Riordan's trials of Apollo series - set in the action-packed world of Percy Jackson.The god Apollo, cast down to earth and trapped in the form of a gawky teenage boy as punishment, must set off on the second of his harrowing (and hilarious) trials.He and his companions seek the ancient oracles - restoring them is the only way for Apollo to reclaim his place on mount Olympus but this is easier said than done.Somewhere in the American Midwest is a haunted cave that may hold answers for Apollo in his quest to become a god again. If it doesn't kill him or drive him insane first. Standing in Apollo's way is the second member of the evil triumvirate a roman emperor whose love of bloodshed and spectacle makes even Nero look tame.To survive the encounter, Apollo will need the help of a now-mortal goddess, a bronze dragon and some familiar demigod faces from camp half-blood. 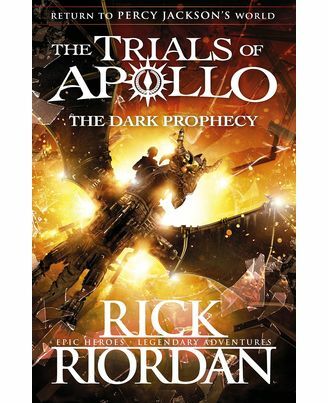 With them by his side, can Apollo face down the greatest challenge of his four thousand years of existence.About the Author :Rick Riordan is the author of the 1 new York times bestselling Percy Jackson and the Olympians series for children and the multi-award-winning tres Navarre mystery series for adults. For fifteen years, rick taught English and history at public and private middle schools in the san Francisco bay area and in Texas. In 2002, saint Mary's hall honoured him with the school's first master teacher award. His adult fiction has won the top three national awards in the mystery genre the Edgar, the Anthony and the shamus. His short fiction has appeared in Mary Higgins Clark mystery magazine and Ellery queen's mystery magazine. His Percy Jackson series features a twelve-year-old dyslexic boy who discovers he is the modern-day son of a Greek god. The lightning thief was a new York times notable book for 2005. Film rights have been purchased by twentieth century fox and a feature film is in development. The sea of monsters was a child magazine best book for children for 2006 and a publishers weekly and book sense national bestseller. 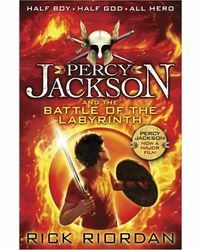 The third title, the titan's curse, made the series a #1 new York times bestseller and the fourth title, the battle of the labyrinth, had a first printing of one million copies. Rick is also the author of the 39 clues, the maze of bones, another 1 new York times bestseller. Film rights for the 39 clues have been purchased by Steven Spielberg and dream works. Rick Riordan now writes full-time. He lives in san Antonio with his wife and two sons.